The math and science behind the electricity systems of our daily lives. 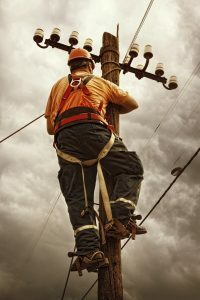 The Electrical and Power Transmission program teaches students the technical knowledge and skills to build and repair all things electrical, from the home to commercial and industrial buildings. If you are passionate about electronics, and want your education to include hands-on building, installing and repairing electronics, and are excited by things like circuit diagrams or DC and AC motors, this is the program of study for you. Electrical and Power Transmission courses include math and science of electronics, plus electrical wiring codes, blueprint reading, sketching and other subjects essential in the electronics industry.